Can you spot the most awesome thing in this photo? 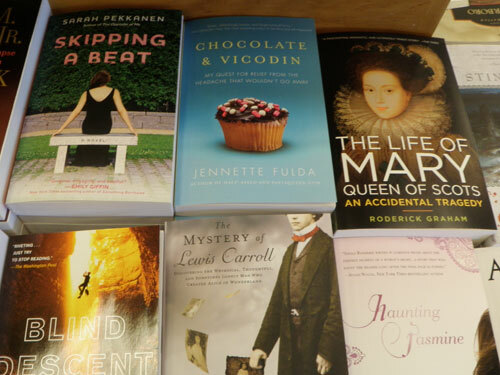 Chocolate & Vicodin is featured on the “New in Paperback” table of Barnes & Noble, right at the front of the store. This pretty much made my year. Later: Subway and Diet Coke and The Heart Truth. Can you handle the truth? Oh and a giveaway, too. @Susan C. – Oh, that would have been a good idea, wouldn’t it? I’ll have to do that the next time I’m near there. OMG – We are so proud of you! I started reading it last night until I couldn’t keep my eyes open. One of my dogs then proceeded to run around the house shaking his head due to an ear infection, and I dreamed that he was shaking his head because he had a headache, and I gave him pills but it wouldn’t go away! LOL! Awesome! I downloaded it on my Kindle and started reading last night. I would love to run into you at the grocery store sometime and have you sign my copy*. Too many things converged on the night of your reading and I was so disappointed not to be able to make it! Yes, I can imagine that must be a pretty great feeling! I started the book last night and am really enjoying it (other than feeling very bad for you and the ordeal you’ve gone through.) Glad to know the headache has at least improved to the point where it’s more tolerable. Awesome. They’re saving me the trouble of moving them there myself. Just downloaded “Chocolate and Vicodin” to my Kindle for tonight’s hotel reading. 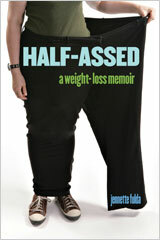 Loved “Half-Assed” so I’m optimistic this one is as awesome or better! Awesome! Can’t wait to read it! You go, girl! It must be a total rush to see your book finally in stores. Congrats! WOW!!!! How exciting! 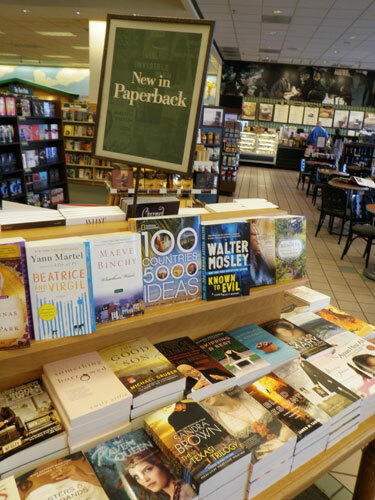 :D Now I want to check my B&N to see if your book is there. If it is, I will totally take a picture — so should all your blog readers! I’m really enjoying the book and hope to heck I don’t develop a sympathy headache as I get more into it! You have been having a hell of a time trying to get a handle on the damn thing! So sorry, I would make a few suggestions but am sure you have already been there tried that! Curses! Congratulations!! That’s so awesome and I bet one of the greatest feelings in the world! Jennette, just got your book in the mail. Loved it so much that I also ordered it for my Kindle. (I did the same for Half Assed). So, I’ve supported you 4 times and may I say it was well worth it. I’m almost sorry I enjoyed your book as you were obviously in so much pain and anguish. Still, your writing style is amazing and I look forward to your next book. NICE!!!! Congrats! Gotta be awesome to see it in print and on a table in a national store! Wow, Jeanette, that is SO COOL! If it’s as good as your first book, they won’t be disappointed! i am reading this on my kindle now :) i even put down harry potter for you!!! I saw it on a front table at Borders in South Bend, IN too. Unfortunately that store is closing but I thought it was nice that they are still making an effort to put new releases out! Congrats! I look forward to digging into your book. Your sense of humor is great and always cracks me up. Congrats on your book release! 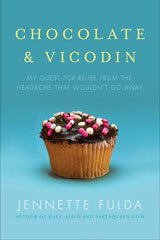 Your book Chocolate and Vicodin sounds great! I found out about it from Gril From the Ghetto. You have a new follower, sufferer of chronic pain who also has not been able to stop my chocolate cravings for the last THREE days! That was GIRL From the Ghetto, oops! Congratulations on the new book. I was so excited when I saw it in the bookstore yesterday that I got my camera out and took a picture just like this. I can’t wait to read it. Hope sales are through the roof. Oh, sorry, they were all out of cinnamon rolls…. Congrats on the book. That has to be so exciting. Just came upon your site and I am loving it.